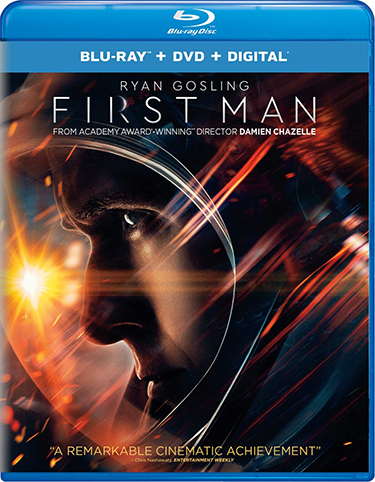 Based on the book First Man: The Life of Neil A. Armstrong by James R. Hansen and from visionary filmmaker Damien Chazelle, FIRST MAN is the riveting story behind the first manned mission to the moon, focusing on Neil Armstrong and the decade leading to the historic Apollo 11 flight. A visceral and intimate account told from Armstrong’s perspective, the film explores the triumphs and the cost — on Armstrong, his family, his colleagues and the nation itself — of one of the most dangerous missions in history. 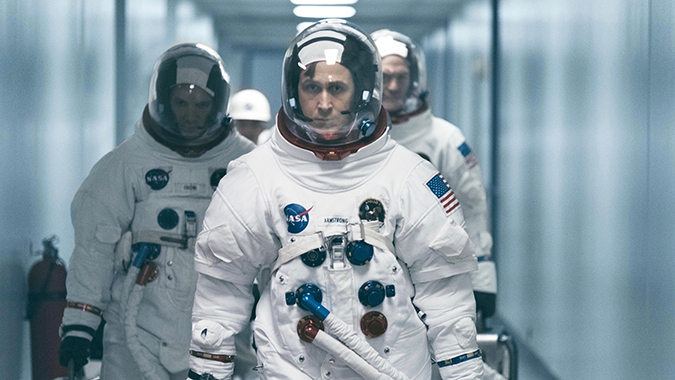 The critically acclaimed FIRST MAN comes from legendary executive producer Steven Spielberg (Jurassic World: Fallen Kingdom, Schindler’s List) alongside fellow executive producers Adam Merims (Baby Driver, Straight Outta Compton) and Josh Singer (The Post, Spotlight) with a screenplay by Singer allowing audiences to relive the historic achievement in human history that has never been told cinematically. Filled with outstanding performances from an all-star cast led by Gosling and Foy alongside an incredible roster of supporting talent including Kyle Chandler (The Wolf of Wall Street, “Friday Night Lights”), Jason Clarke (Zero Dark Thirty, Mudbound), Corey Stoll (“The Strain,” “House of Cards”), Pablo Schreiber (Skyscraper, “Orange is the New Black”), Christopher Abbott (“The Sinner,” Whiskey Tango Foxtrot), and Ciarán Hinds (“Game of Thrones,” Tinker Tailor Solider Spy), FIRST MAN “explodes with cinematic wonder” (Inverse). 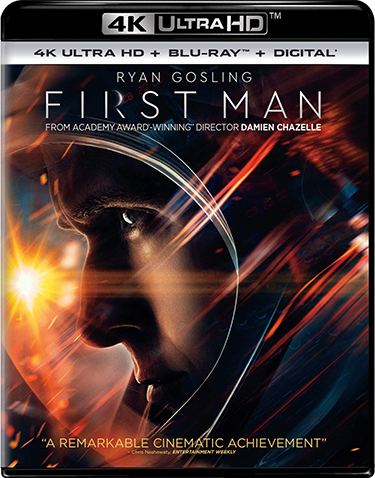 FIRST MAN will be available on 4K Ultra HD in a combo pack which includes 4K Ultra HD Blu-ray, Blu-ray and Digital. The 4K Ultra HD disc will include the same bonus features as the Blu-ray version, all in stunning 4K resolution.